EYE OF THE STORM is set in a future world where climate change has led to severe and widespread catastrophic storms. (Frankenstorm, anyone?) 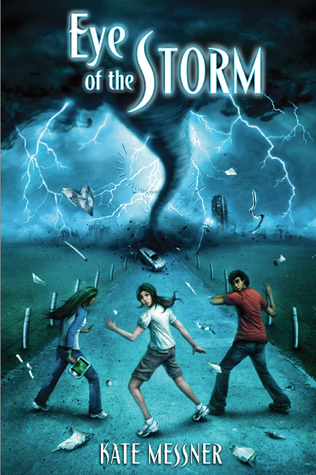 In this novel for readers ten and up, Jaden Meggs goes to spend the summer with her meteorologist dad in his company’s “Storm-Safe” compound in the heart of tornado country. When she enrolls in an elite science camp for gifted kids, Jaden teams up with a boy from across the river to study the strange paths some tornadoes are taking…and discovers a terrifying secret about her own father. 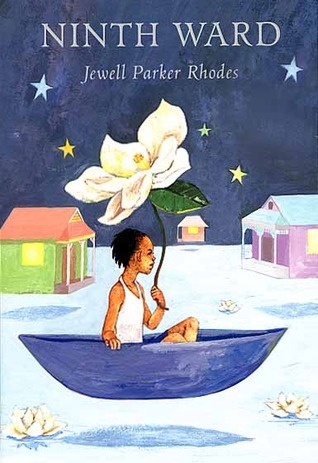 NINTH WARD by Jewell Parker Rhodes is another great storm story. In this book, twelve-year-old Lanesha lives in a tight-knit community in New Orleans’ Ninth Ward. She doesn’t have a fancy house like her uptown family or lots of friends like the other kids on her street. But what she does have is Mama Ya-Ya, her fiercely loving caretaker, wise in the ways of the world and able to predict the future. So when Mama Ya-Ya’s visions show a powerful hurricane–Katrina–fast approaching, it’s up to Lanesha to call upon the hope and strength Mama Ya-Ya has given her to help them both survive the storm. Ninth Ward is a deeply emotional story about transformation and a celebration of resilience, friendship, and family–as only love can define it. This one is great for middle grade readers. 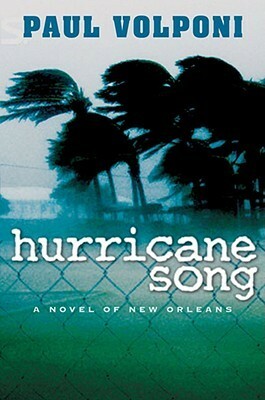 Paul Volponi’s HURRICANE SONG tells the story of Katrina for older teens, leaving out no harrowing detail of the storm and the struggles of those who sought shelter in the SuperDome in the days that followed. It’s action-packed, and many scenes in this one are tough to take, but it paints a realistic picture and will be a draw for older reluctant readers. 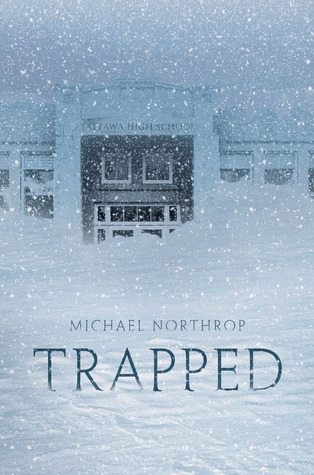 Michael Northrop’s TRAPPED is another great storm read for ages 12 and up. This one features a blizzard. The day it started, no one knew that it was going to keep snowing for a week. That for those in the storm’s path, it would become not just a matter of keeping warm, but of staying alive. . . . Scotty and his friends Pete and Jason are among the last seven kids at their high school waiting to get picked up that day, and they soon realize that no one is coming for them. Still, it doesn’t seem so bad to spend the night at school, especially when distractingly hot Krista and Julie are sleeping just down the hall. But then the power goes out, then the heat. The pipes freeze, and the roof shudders. As the days add up, the snow piles higher, and the empty halls grow colder and darker, the mounting pressure forces a devastating decision. . .
Stay safe, everyone. Stay warm. And I hope you have plenty of batteries and books to see you through the storm!